The SKAddl range of linear motors is available ready-assembled with linear guides, feedback, cable and cable track, etc. Synchronous linear permanent magnet servomotors implementing "iron core" technology. The mobile part is generally formed by the winding, while the static part typically is formed the the track to which the permanent magnets are fixed. 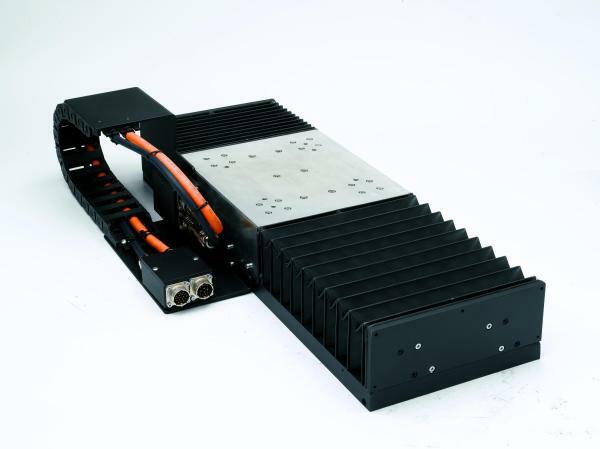 The SKAddl motors are available as framless part-sets for integration into volume OEM machinery or as ready-assembled linear-stages with the linear bearings and guides, feedback system, temperature sensors and the cable and cable track removing most of the problems associated with applying linear motor technology. With the addition of the SKAddl-compact product range, we can offer an unmatched choice of construction formats making it easy for the customer to select the motor perfect for the application.